What is going on this weekend in Chattanooga? It might be easier to say what is NOT going on. Tons of live music, fireworks galore, block parties, comedy shows, sporting events are all happening this weekend. Plus the lakes, rivers, pools and creeks of Chattanooga offer respite from the summer heat. Wondering what to do this weekend in Chattanooga? Here are your best bets! Every Friday and Saturday, you can take an educated tour of four local breweries (it changes each week) via tour bus! What is more fun than grabbing your best buddy and checking out the behind the scenes of four local breweries while someone else drives you around? Not much in my book. Chattabrew Tour offers two tours a week, plus the option for private tours, of Chattanooga’s ever growing craft beer industry. Tours are Friday 1-5 and Saturday 11:30-3:30. $40 per person. Must be 21. Info and booking can be found online. The Westin has become synonymous with downtown fun since it opened last fall. Every weekend, the streets close and the fun starts with something for everyone including street performers, face painting, live music including Rick Rushing and the Blues Strangers , food trucks and lasers (who doesn’t love lasers?). 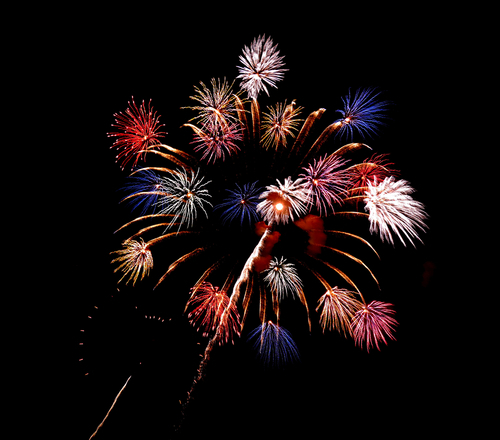 Saturday, the theme of the West Village is America complete with patriotic themed music, balloon drop and fireworks. 5-10 pm. Chestnut Street. Free to attend. Chattanooga loves a block party. Nightfall, West Village and Ross’s Landing, Cambridge Square are home to block parties all summer long. This Saturday, check out a new block party on Main Street. Frequeroo Music and Arts Festival, will have 20 bands, art vendors, food including from The Spot and more. Gather with friends and support the local art and music scene all day long beginning at 12 noon and going til 2 am. Admission is free until 8 pm and then $10. 1804 E. Main Street. The Chattanooga Riverwalk is one of the most picturesque areas of Chattanooga. Travel along the 13 miles of paved pathway that follows the bend of the Tennessee River and you will see wonderful art, nature and several parks. Saturday, the newest art instillation by artist Albert Paley is being dedicated with a tribute to the African American history of the Blue Goose Hollow. With fun activities including a music performance and food trucks, free bike rentals courtesy of Chattanooga bikes, this is a family friendly event. 11:30-2 pm Free to attend. Blue Goose Hollow Trailhead. ML King and Riverfront Parkway. Sunday is one of the best days of the year at the Chattanooga market. Blueberries are in season and the theme, Red White and Blueberries, is all things related including the pie eating contest, (one of our kids was the winner of the pie eating contest in 2013). The produce of summer is just getting really good, with peaches, cucumber, squash and even tomatoes readily available for purchase. 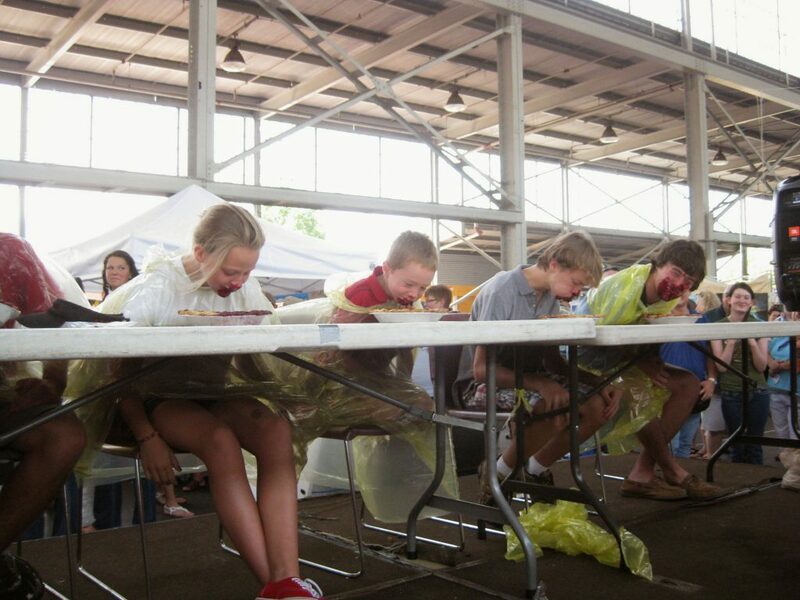 Enjoy fresh baked blueberry pies from the Chattanooga Culinary school, fresh berries and of course, your chance to compete in the pie eating contest. Sign up to compete at the information desk. The Chattanooga Market is open every Sunday 11-4pm. 1829 Carter Street. This is a 5 day weekend for many people. We will be working so if you have any questions about fun things to do around town, are visiting and need recommendations or have decided to make the fun city of Chattanooga your home, please let us know. Have a happy weekend!